Four years ago, Ryan Diviney and three friends were leaving a WVU game on foot. Leaving the same game was a gang of rowdy and drunken men who were looking for a fight. At the time Ryan was full of optimism and looking forward to “the best years of his life” and, maybe one day, a career in politics. The group surrounded Ryan and his friends, who tried in vain to defuse a situation that was rapidly and unnecessarily becoming violent. Ryan, who had his hands in the air to show he did not want any trouble, was sucker punched and knocked to the ground. What happened next would forever alter the lives of everyone involved. Austin Vantrease, part of the gang of drunks, kicked Ryan in his head repeatedly, leaving him unconscious and laying in the street bleeding from his ears. As a result of the attack, Ryan was left in a coma and will never regain consciousness. His father gave up his career to provide Ryan with the 24 hour care he required. With Ryan’s care came a hospital bed, medical equipment and boxes of tubes, gloves, gowns and anything else you might find in a hospital room. Ryan’s large hospital bed was crammed into a sitting room on the middle level of a three story home. 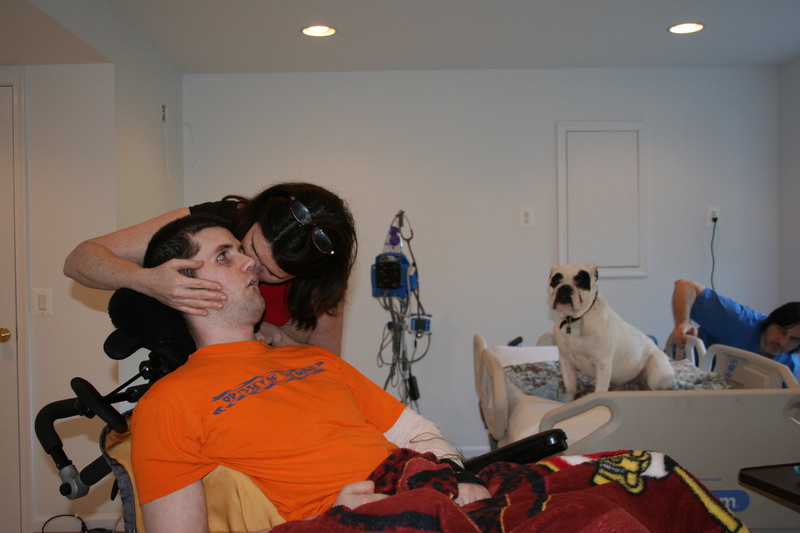 The situation was not ideal for the family living in the home and those trying to provide Ryan with best care possible. 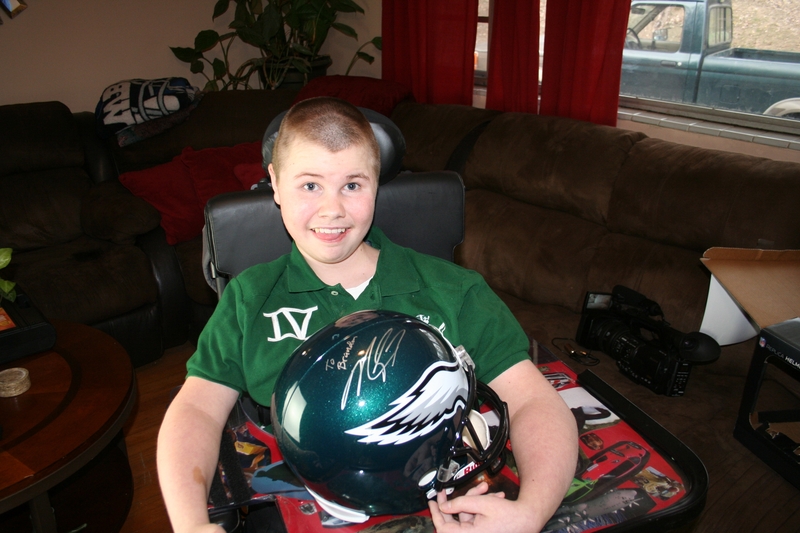 Nearly 6 months after leaving the hospital Ryan was still in the sitting room of his family’s home. 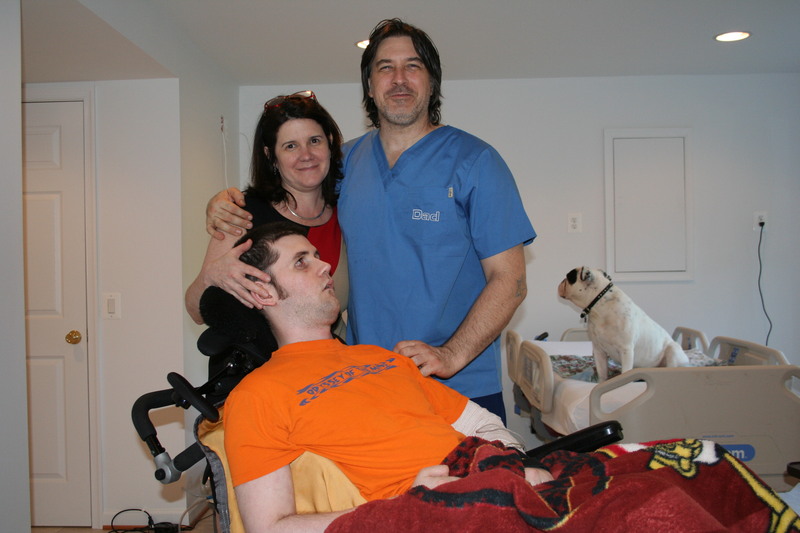 One of the greatest difficulties faced by Ryan’s parents was giving him a shower; because of his size and location, Ryan had not showered in over 6 months since returning from the hospital. The Michael & Son Services Cares Team, along with their friends, helped transform the Diviney’s basement and make it possible to shower every day. You can watch the transformation happen before your eyes this weekend on Helping Hands at 10:00 am on NBC4! If you or someone you know is currently facing a hardship and is unable to afford home repairs, please contact the Michael & Son Cares Team. Michael & Son Services established their “Cares” charitable campaign in 2010 providing essential home services to local families in need. To date, the program has assisted over 20 families in the area. They are also proud sponsors and supporters of Dreams for kids, Saltwater Soldiers and Susan G. Komen. Michael & Son Services has been serving the greater DC metropolitan area for over 30 years with electrical, plumbing, heating, A/C, construction and handyman services. Our motto has always been, “If you can’t, we can!” Check us out at www.michaelandson.com. Many like to describe winters in D.C., M.D. and V.A. as mild but how many of those people have ever spent a winter without heat? Sharndell King and her two young children know how cold the days and nights in Maryland can get. When the family’s furnace stopped working last summer Sharndell began to worry about the fast approaching winter. After paying a few less than reputable contractors to make repairs that didn’t last, Sharndell was out of ideas and money. To make matters worse, the home was infested with bed bugs that tormented the children as they tried to sleep in their cold beds at night. 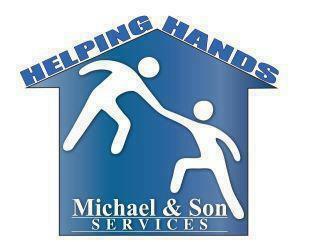 One Saturday, after seeing the show Helping Hands, Sharndell decided to reach out to the Michael & Son Cares Program. “After seeing the show, my heart was filled with hope” said Sharndell. “I sent them an email and said a prayer, a week later my prayers were answered” continued Sharndell. The Michael & Son Cares team provided the family with a new heating system, duct work and through friends of Basim Mansour, pest control. After the work was complete, the children were able to once again have a clean and warm place to sleep. “When I watched our initial interview with the family I was really moved by what the kids had to say” said Basim Mansour, Proud Son & Owner of Michael & Son Services. “It was great to see the look on their faces when we surprised them” continued Mansour. You can see the whole story, including the big surprise, when you tune into Helping Hands this Saturday at 10 am on NBC4! With its contemporary style and touching stories, The TV series Helping Hands has enjoyed a great deal of success over the last year. Each Saturday, viewers all over the D.C. / metro area tune in to watch The Michael & Son Cares Team transform the home of a needy family. Until now, Helping Hands has only aired in the D.C. markets on NBC4, even though some of our more memorable episodes were filmed in Richmond. Each week we receive dozens of emails, phone calls and social media messages from people asking for Helping Hands to be aired in Richmond. In response to the overwhelming demand, Helping Hands will begin to air in Richmond this Sunday (4/7/13) at 12pm! “Helping Hands has had a tremendous impact on viewers and businesses in the D.C. area” said Basim Mansour, Proud Son & Owner of Michael & Son Services, inc. “After the airing of every show, we receive a large number of calls and emails from business and individuals who want to volunteer their time or make donations. This is precisely the intent of the Cares Program; to inspire others to help” continued Mansour. The Michael & Son Cares Program has helped dozens of families in D.C., M.D., V.A. and N.C. with essential home repairs they cannot afford. Watch the work and see the touching stories behind the projects by tuning into Helping Hands! Catch all the new episodes of Helping Hands by following the schedule below. You can catch up on episodes you missed by subscribing to our YouTube page. Also, like us on Facebook, follow us on Twitter and subscribe to the Helping Hands Blog for more information abut the show. 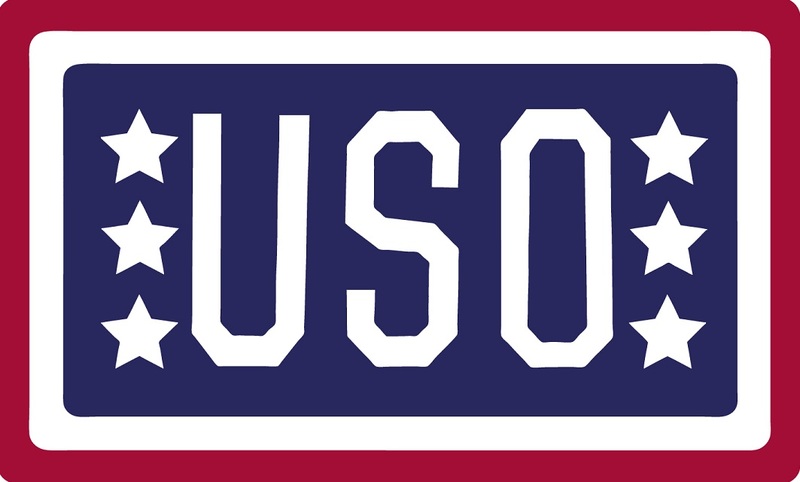 Recently, the Michael & Son Cares Program, USO and K95 joined forces to help a military family with home repairs and renovations. The recipients had purchased a farm in Southern Virginia with the intention of building a center for at risk inner city teens. Shane Drinkwater, the recipient of the award and active duty serviceman had longed dreamed of building a place where children could come and experience the quite of the country. “This is something my wife and I have wanted to do for a long time; it could not have been possible without the help of Michael & Son Services” said Shane Drinkwater. The project also included other home improvement companies who generously donated their expertise and materials to help with the project. 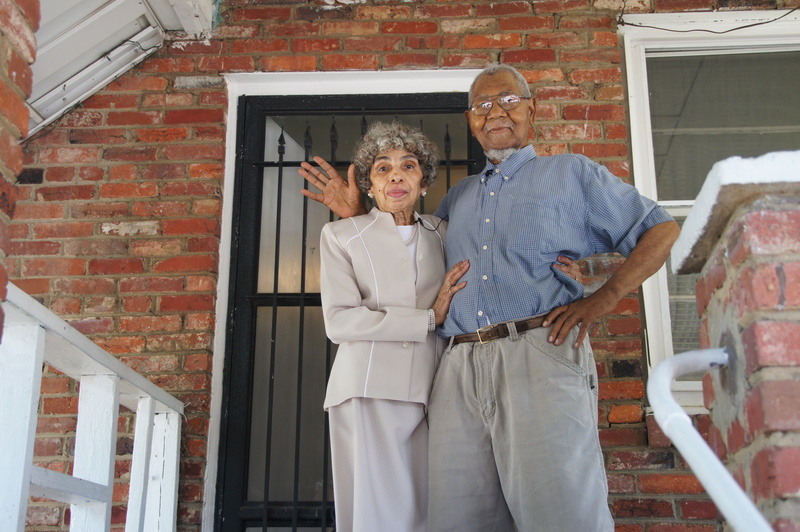 The recipient’s received a new HVAC system, hot water heater, brand new windows and patio that is used as a library. When Proud Son & Owner of Michael & Son Services, Basim Mansour, set out to create the Cares foundation, he intended it to serve two purposes; to help families in the community who are in need and also to inspire others to do the same. “Helping the Drinkwaters achieve their dream of a building a youth center is exciting for us” said Mansour. “It almost feels as if it’s an extension of what we do with the Cares Program is being left here in Southern Virginia” continued Mansour. 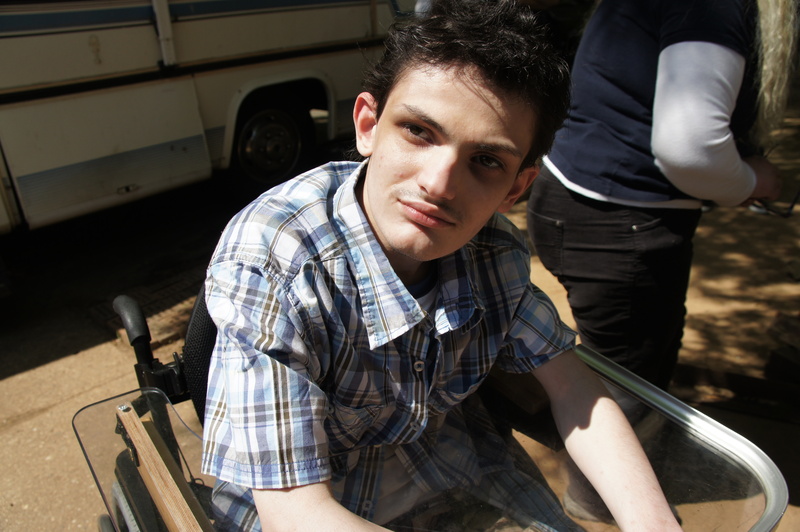 Elias Lloyd, who suffers from status epilepsy and fluid build up in his brain, watches as his home is transformed. Elias was unable to speak but his smile told us everything we needed to know. 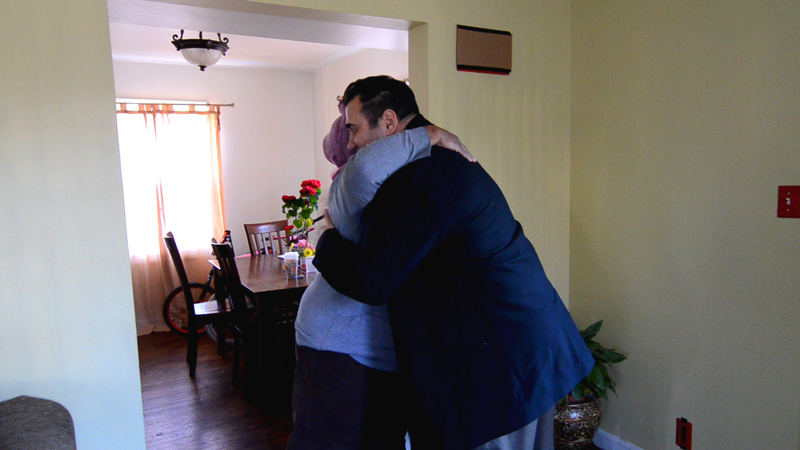 Mary Lloyd (Elias’s mother) could not give CEO Basim Mansour enough hugs following the completion of over $40,000 worth of repairs to her home. The Vaile’s wave good by to the Cares Team after making their home electrically sound and repairing plumbing issues. These are just a few of the many families who’s lives have been changed by the Cares Program. As long as there is a need, the Cares Program will be there to provide assistance. While we all look forward to the day when there will be no need for programs like ours, we will continue to enjoy the work we do and cherish the memories of the families we meet. Be sure to catch Helping Hands Saturdays at 10am on NBC4. Also, like us on Facebook, follow us on Twitter and subscribe to our YouTube page to find out about upcoming Cares jobs, special offers and much more! Michael & Son Services established their “Cares” charitable campaign in 2010 providing essential home services to local families in need. To date, the program has assisted over 20 families in the area. They are also proud sponsors and supporters of Dreams for kids, Saltwater Soldiers and Susan G. Komen. Michael & Son Services has been serving the greater DC metropolitan area for over 30 years with electrical, plumbing, heating, A/C, construction and handyman services. Our motto has always been, “If you can’t, we can!” Check us out at www.michaelandson.com.